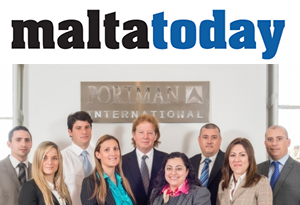 Malta Today recently published a featured story on the TAG Alliances and TIAG's* member in Malta, Portman International. “The Portman International Group brings this extensive worldwide resource to Malta at the service of its international client base and the Maltese economy,” said David Marinelli, Managing Director of the Portman International Group. Read the entire story on Malta Today. *TIAG is TAGLaw's sister alliance of independent accounting firms. In a recent article by The Global Legal Post, TAGLaw, an international alliance of independent law firms, has announced the addition of Delaney Partners as its member firm in The Bahamas. Read the article at The Global Legal Post. Following the launch of its innovative new mobile website, TAGLaw was recently featured in Lawdragon. According to the article, users of TAGLaw's mobile website can search the alliance's database of more than 145 firms by location, practice area, industry and language. The international alliance of independent law firms, TAGLaw®, has recently appointed three new board members to its Advisory Board. Among those appointed is Executive Partner at Kuits Solicitors in Manchester, Robert Levy. New mobile website allows users to search alliance of 9,000 lawyers from more than 145 independent firms around the world. TAGLaw® has recently launched a mobile website. The new mobile website (m.TAGLaw.com), accessible from smart phones, mirrors the functionally of the TAGLaw website, but in an easy to use mobile-friendly format.